Boy meets girl, boy and girl become international pop stars, boy loses girl…. 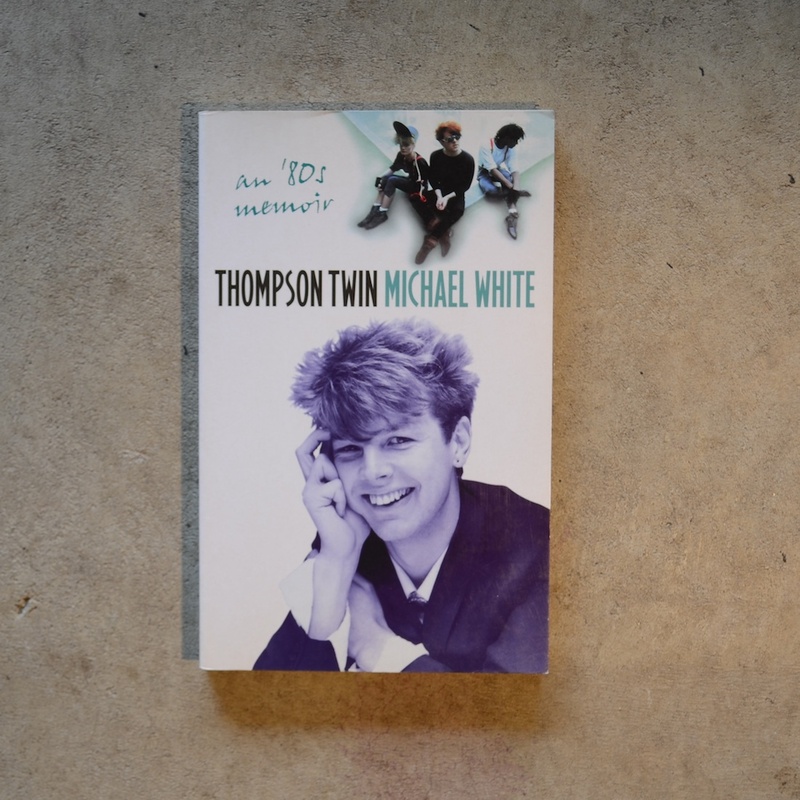 In 1982, a week after graduating, Michael White and his girlfriend joined the Thompson Twins pop group just as the band stood on the brink of international fame. For Michael it was the culmination of a long-held dream – he’d been in struggling college bands for years, had played the Rock Garden and even supported Depeche Mode, but this was what he’d been waiting for: the chance to headline, big-time. Following a swift makeover with the help of a brown envelope stuffed with cash, Michael is then thrown into the pop world proper at a time when music was throwing off the shackles of punk and new wave and beginning to enjoy itself again. Wide-eyed and sometimes legless, Michael finds himself whirling from party to party in the midst of a round of rehearsing and recording, trying to keep up with events as his career took off while his personal life headed south. Thompson Twin is the story of how Michael transformed himself from Essex schoolboy-with-guitar to member of one of the most successful bands of the early 1980’s. Hinged upon a personal and professional relationship and revolving around the ultimate goal of success at any cost, it tells of the highs and lows of new-found fame and the price of making it while losing what is really precious. It is also an insider’s tale of life in a pop group and a funny and moving memoir of the decade that gave us the Filofax, power suits and Big Hair.